Located in the heart of Windsor and tucked away in an exceptional city fringe location, with breathtaking city views and surrounded by vibrant city life, you get the best of both worlds. 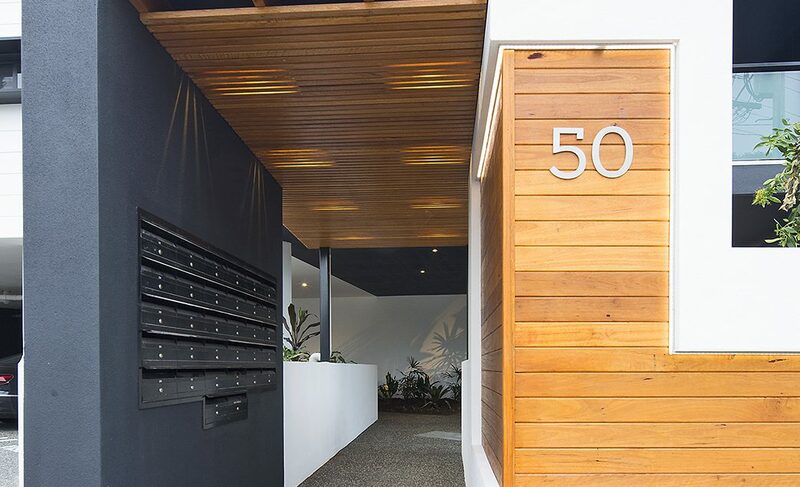 Bonython by Mosaic, located in a leafy and quiet pocket in one of Brisbane’s thriving city fringe suburbs. 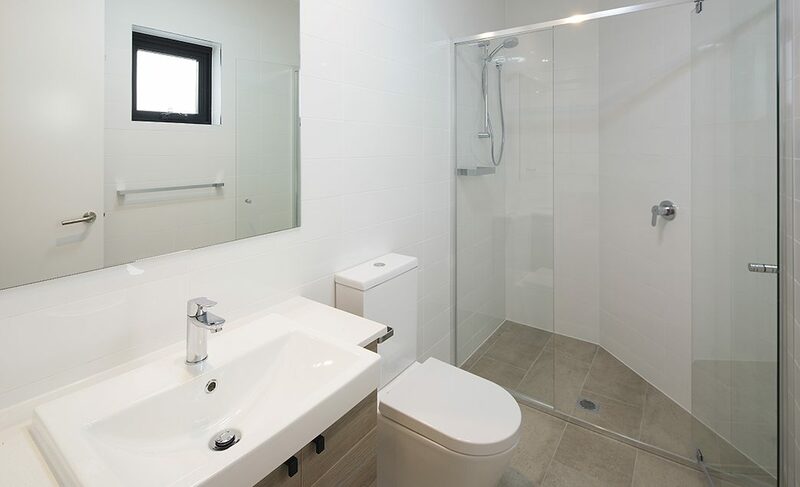 A stunning boutique development consisting of beautifully appointed apartments. 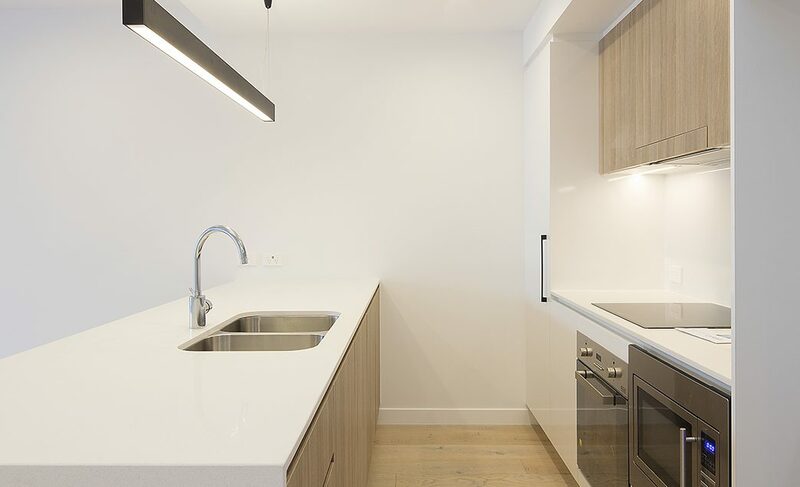 Bonython by Mosaic comprises 31 spacious apartments located in the blue-chip inner Brisbane suburb of Windsor and is ideally placed on Blackmore Street, one of the most sought-after residential addresses in the suburb. 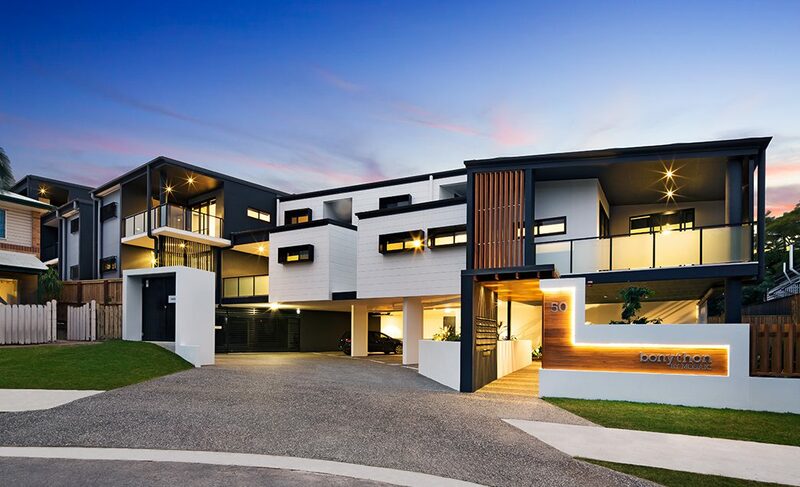 With residential appeal of paramount importance to the community and the unique design attributes of the site, we chose to take a holistic approach to this development. 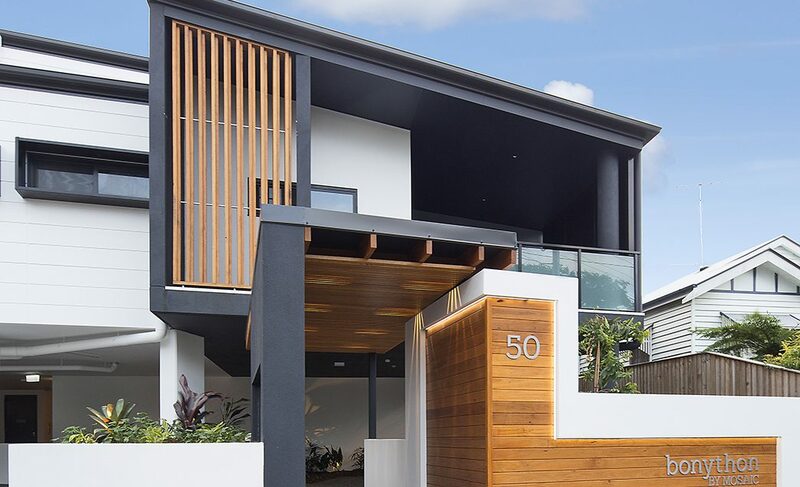 The site's narrow frontage in comparison to the actual size of the site created a rare opportunity to present to the street what appears to be a small development compared to its actual size. The built form is positioned at the back of the 50m site where it rises to four levels. However, Bonython retains a visually subtle two-level profile when viewed from the street. Central to the design is a true open-air atrium landscaped with lush sub-tropical plants and a vine trellis, responding to the principle of creating buildings that breathe. The atrium also supports our vision of providing an ‘idyllic hideaway’ for residents. The courtyard was intentionally designed to reduce the building’s environmental footprint and impact on the site, while multiple communal spaces throughout the project provide for a range of uses to residents. 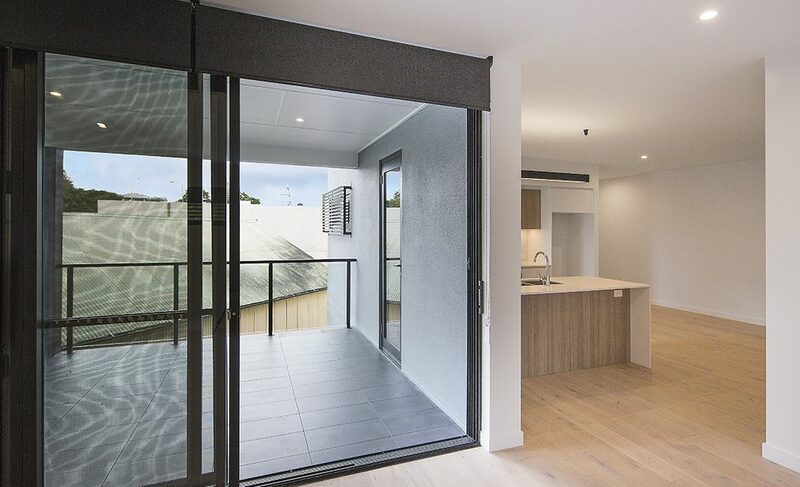 This works in harmony with the residential offering to enhance the liveability of Bonython. The natural cross-ventilation created by the atrium also encourages cross-ventilation for apartment residents. 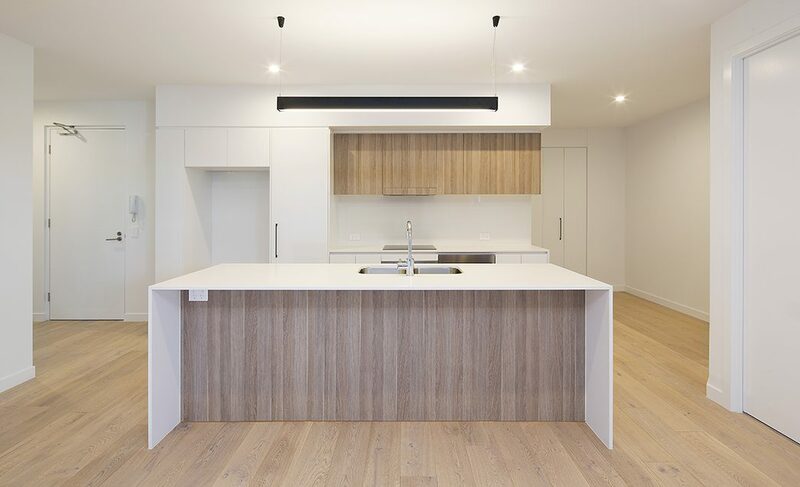 The finished product is testament to modern design principles that features apartments that are 15 per cent larger than average for the area and that benefit from a green design that minimises the building’s footprint and diminishes the need for mechanical ventilation systems.